Welcome to the Parks and Recreation EPIC Blog Hop! I've joined together with 8 other bloggers to create and share crafts inspired by the NBC show, Parks and Recreation, starring Amy Poehler. This fall the show enters it final season, Parks and Recreation Season 7! 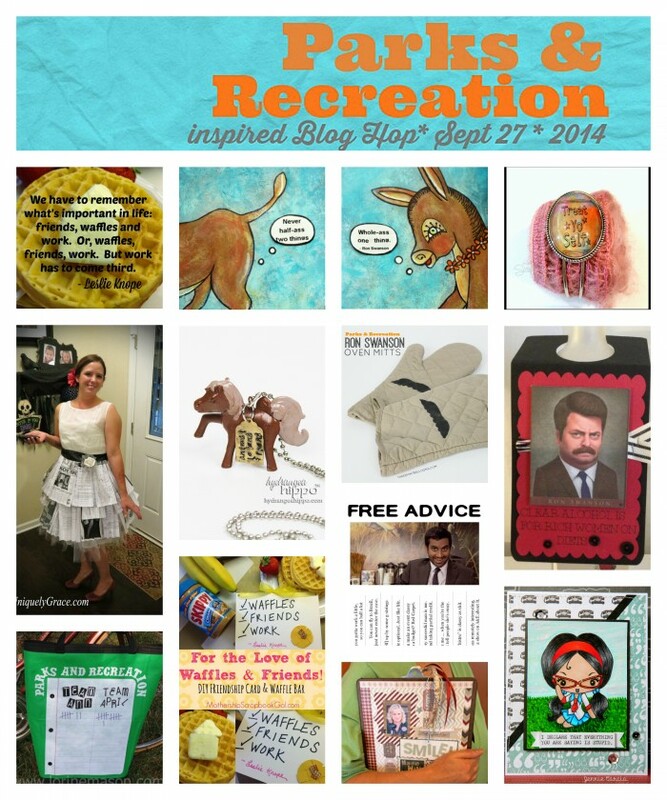 We'll miss Parks and Rec but the show will live on in “craft” through this Parks and Recreation Crafts EPIC Blog Hop. Problem is, it's kinda a mystery as far as WHO make it first. 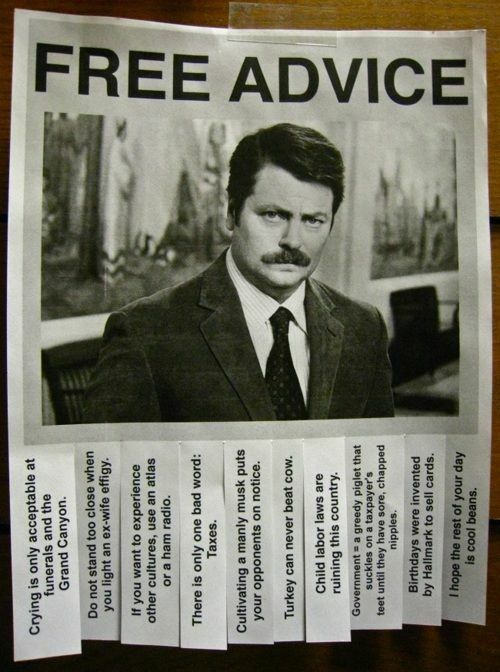 But I did find a place where you can download it: Free Advice Ron Swanson Printable. 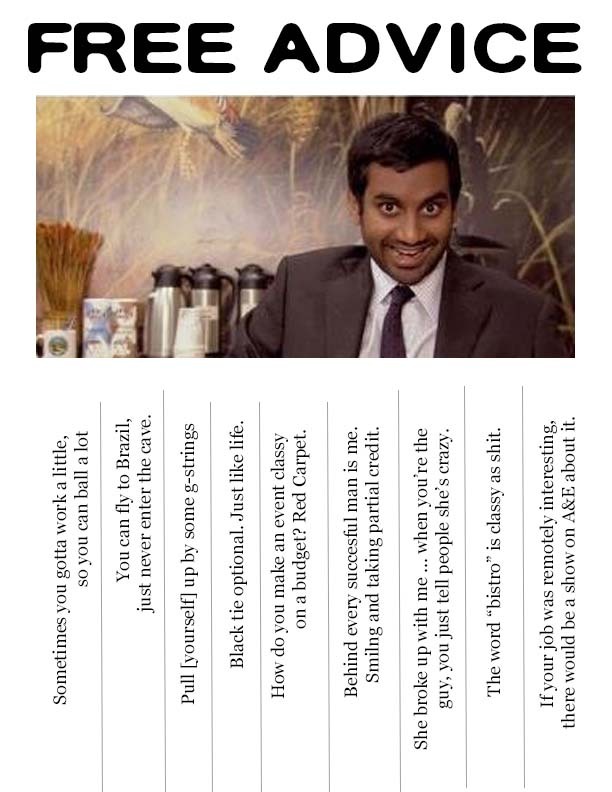 But what about all the other Parks a& Rec characters with great, life-changing advice, like Tommy Haverford! 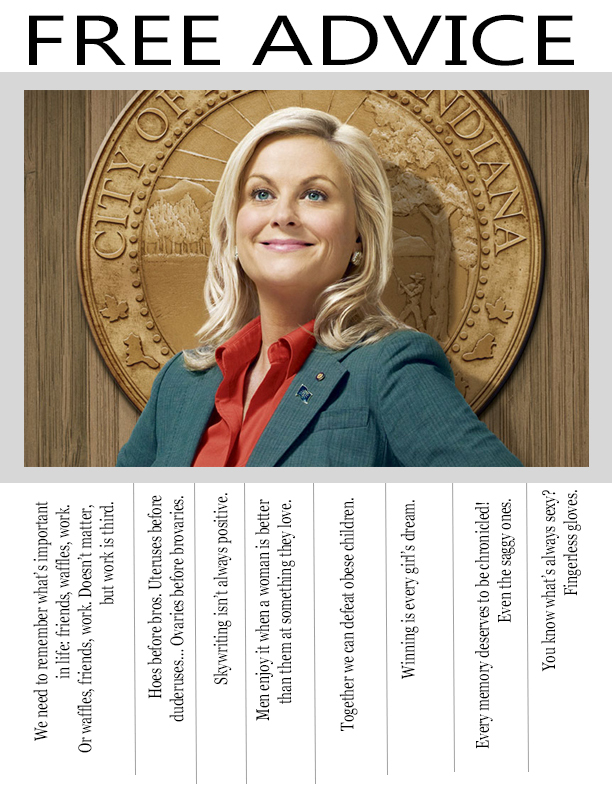 I made a few printables filled with advice from some of my favorite characters from Parks & Recreation. Warm up that printer and get ready to inspire your co-workers! Whose office are you gonna hang these in? Enough computer play … now time for crafts! Now, head on over to the other 8 blogs in the hop to see what Parks & Rec inspired crafts they created!